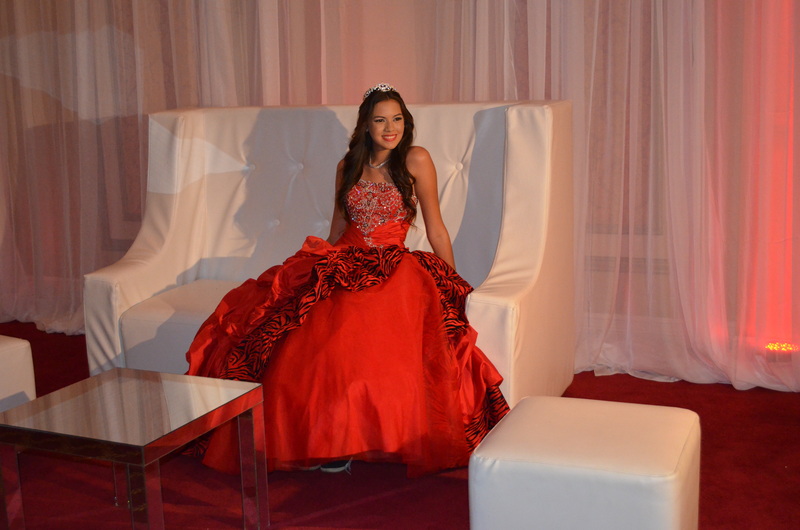 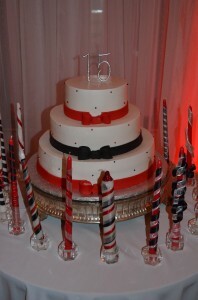 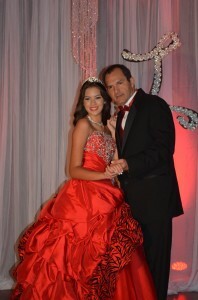 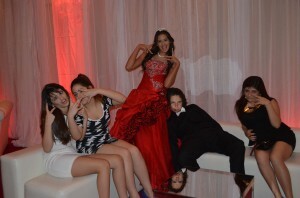 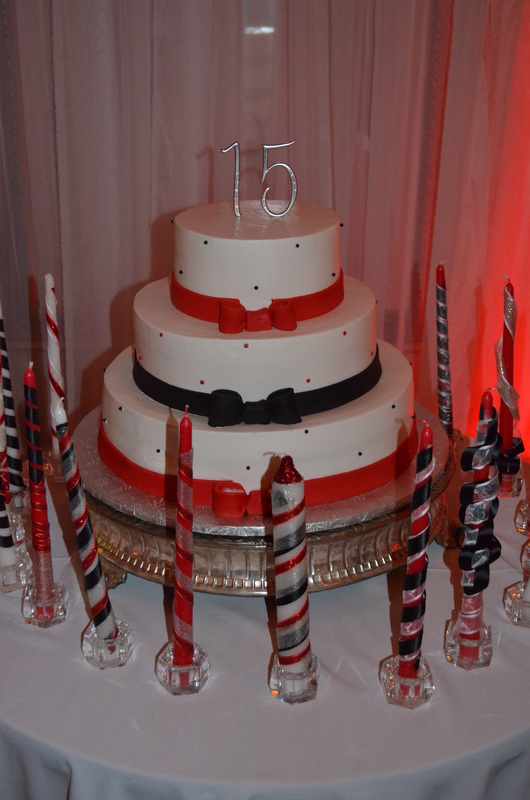 Laurette 15th Birthday Party was an amazing event. 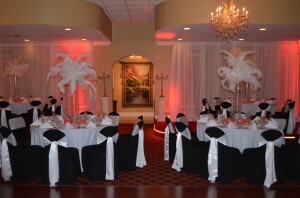 The black and white linen and the feather arrangements were completely different from a traditional 15th Birthday Parties. 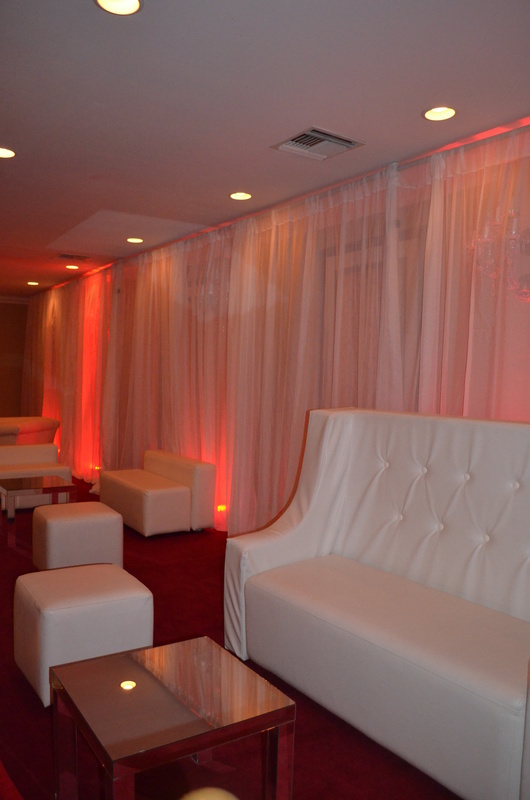 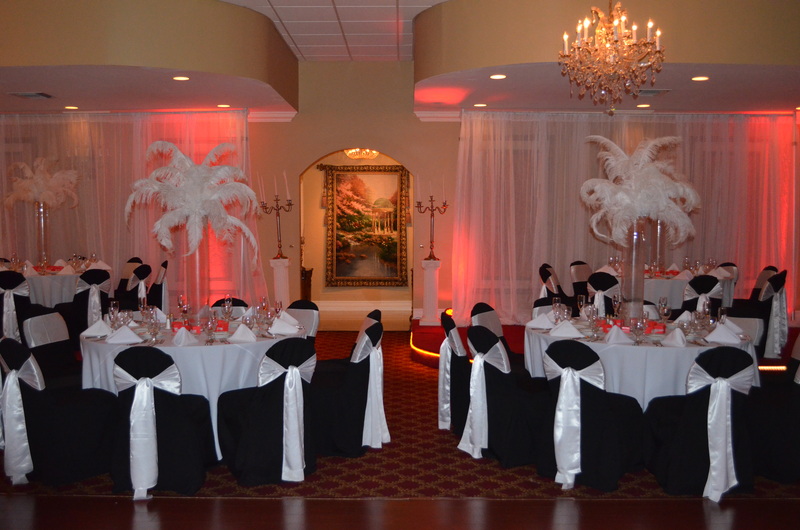 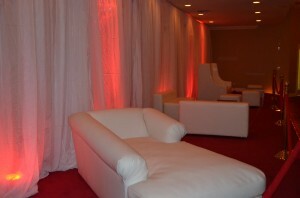 The red up lights was a nice touch that went very well with the room decoration and Laurette’s gown. Laurette dreamed with an elegant and sophisticated decoration with lounge area for her friends. 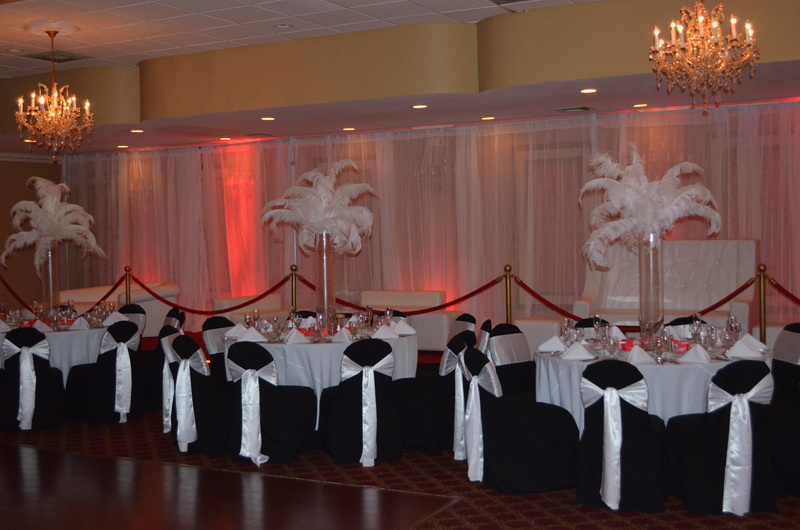 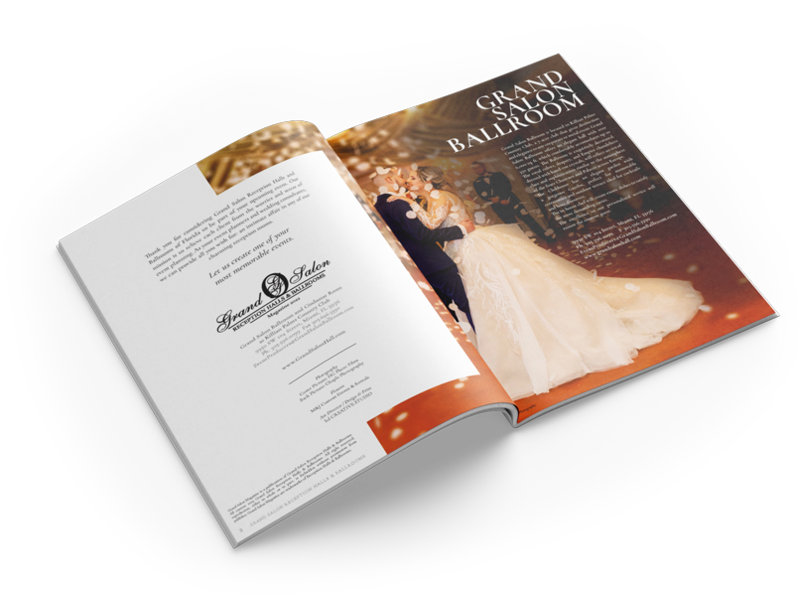 Grand Salon Reception Hall’s lay out and decoration was the perfect venue for her ideas. 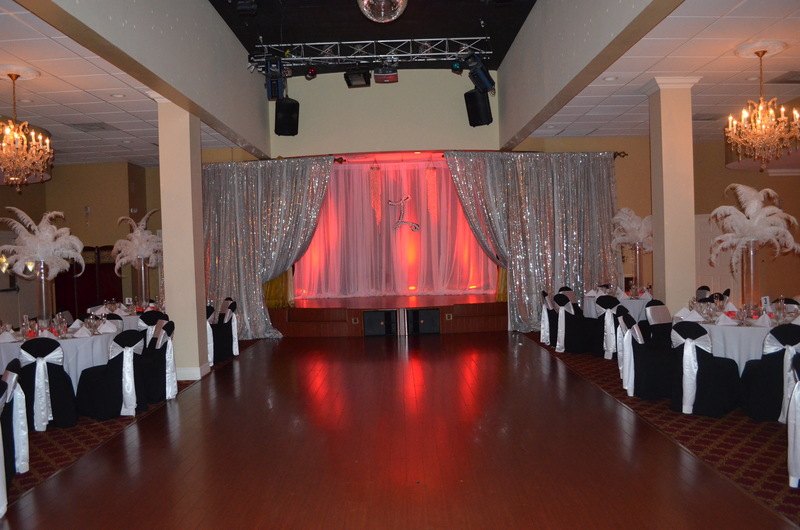 The different levels on the floors were excellent. 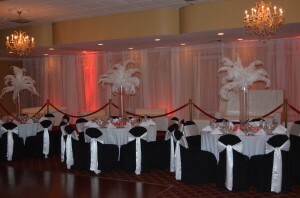 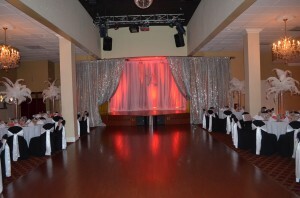 The chandeliers and the room decors were a must have in her event decoration.